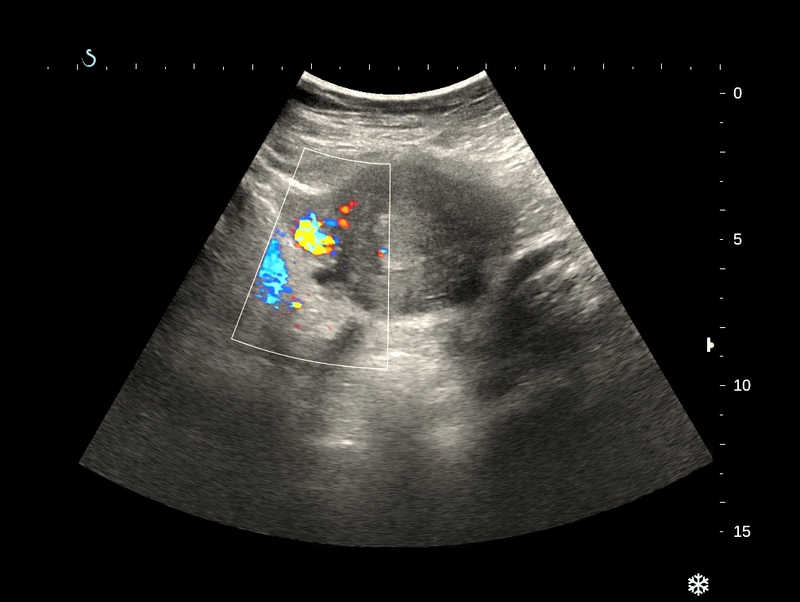 VIETNAMESE MEDIC ULTRASOUND: CASE 368: METRORRHAGIA, Dr PHAN THANH HẢI, MEDIC MEDICAL CENTER, HCMC, VIETNAM. 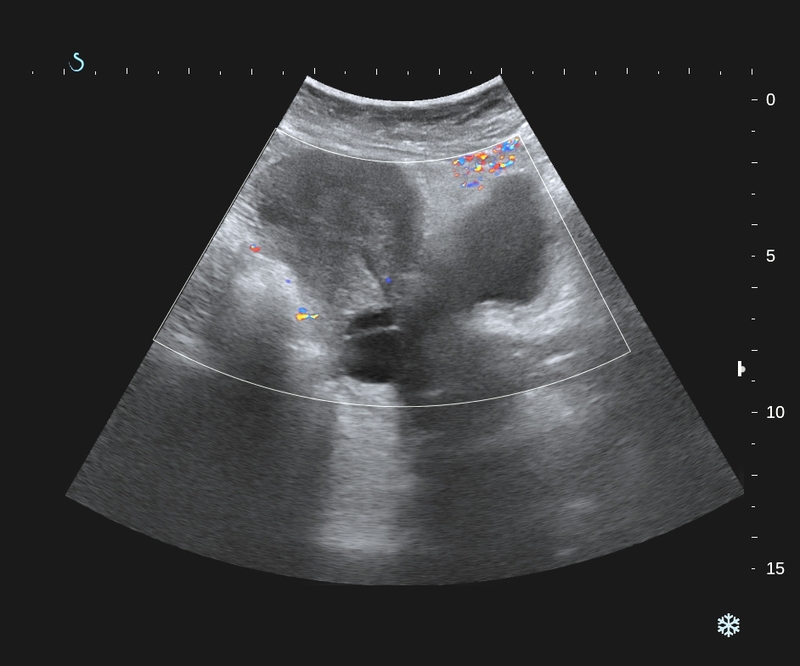 CASE 368: METRORRHAGIA, Dr PHAN THANH HẢI, MEDIC MEDICAL CENTER, HCMC, VIETNAM. Women 52 yo post menopause 2 years, vaginal bleeding. 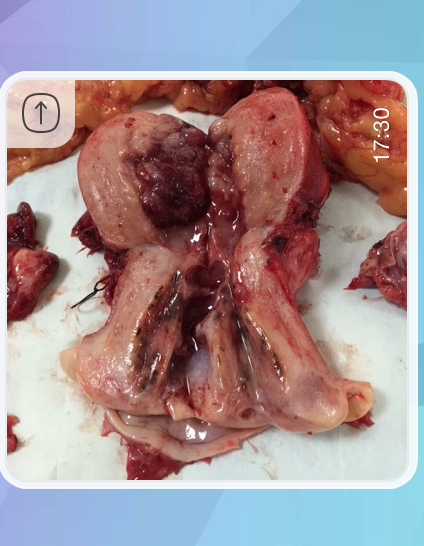 US1: cross- section of uterus, normal size uterus with thicknening endometrium ( more than 2cm). US2: CDI no abnormal uterine vascular supply. US 3:thickening endometrium and cystic mass at cervix. 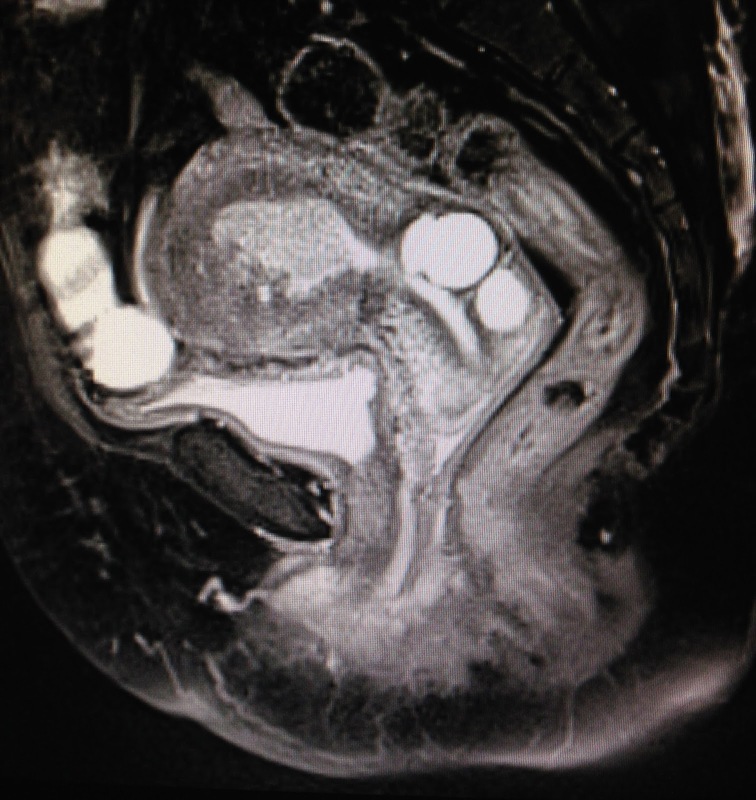 MRI1= uterine cavity is large and thickening endometrium, some filling defected at fundus of uterus. 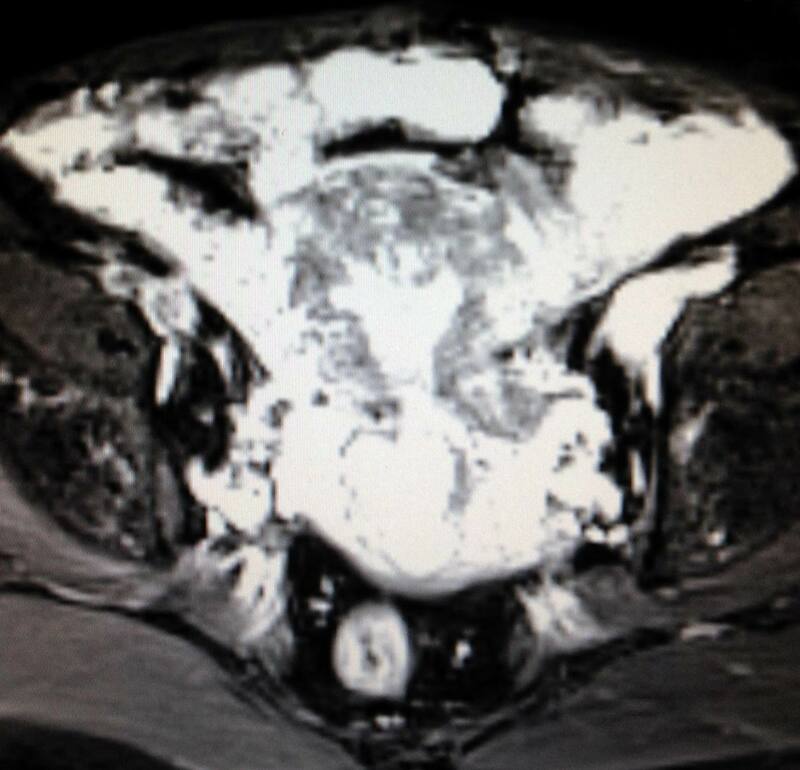 MRI2=longitudinal scan showed the abnormal endometrium penetrated to uterus muscle. 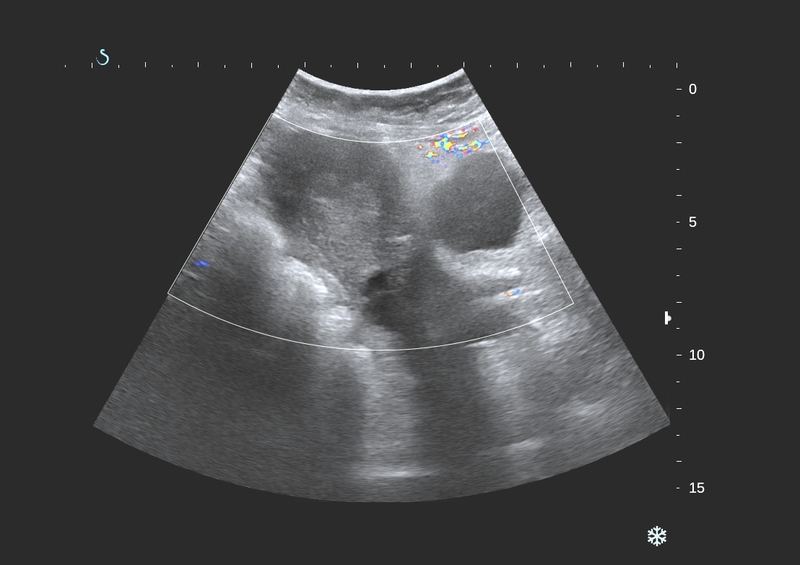 Based on clinical status , ultrasound and MRI, ObGy doctor suggested that endometrium carcinoma. OPERATION of HYSTERECTOMYand OMENTECTOMY (SEE MACRO). Macroscopic report of this tumor is endometrium adeno carcinoma invasive to myometrium..